Playing with the colorful balls as they dance over the water’s surface is a joy for even the smallest child. Who can toss them into the basket net all by themselves? 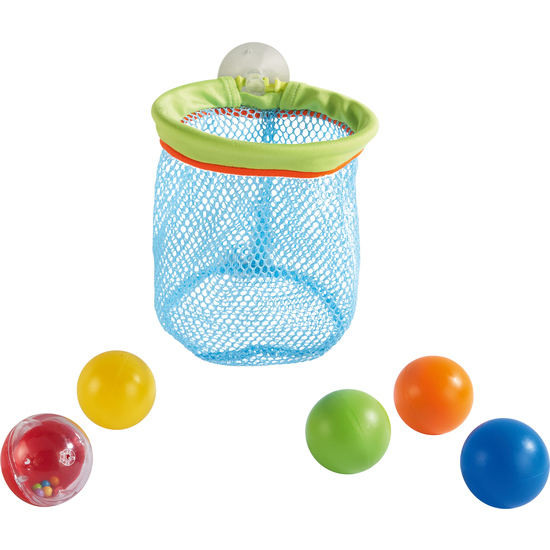 A practical plus, the basket can also be used as a net to catch the balls. Contents: 1 basket, 4 balls, 1 water ball.